Twenty years ago, we created a storefront mediation center in Crown Heights, Brooklyn. In some ways, it was a lunatic undertaking. The Center for Court Innovation was only a couple of years old. We had no name recognition and zero reputation. Nor did we have meaningful roots or connections in Crown Heights. 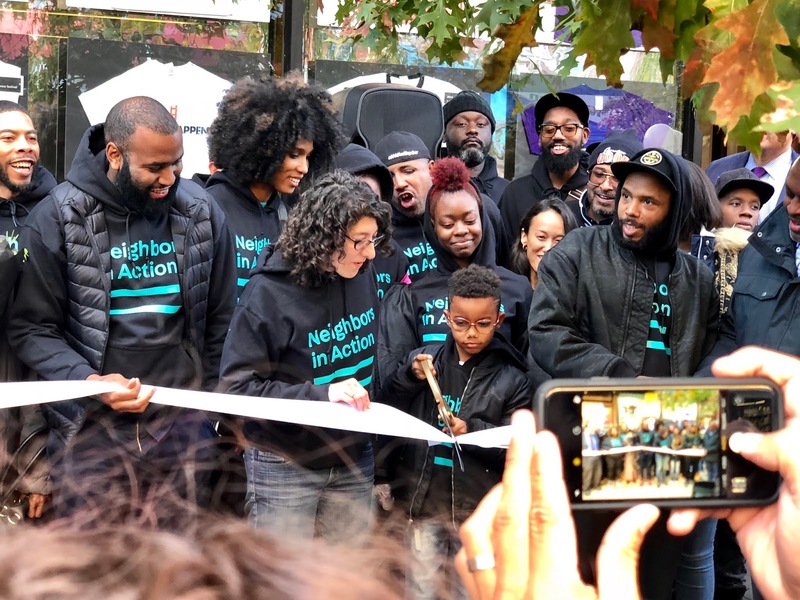 What we had was a small grant from the City of New York, which was interested in improving inter-group relations in the neighborhood and willing to give us some room to decide what that should look like. More than that, we had the two things that have proven crucial to all of our success over the years, both in Crown Heights and the world beyond: we had an idea and we had talented people. Yesterday, we held a ribbon-cutting to celebrate the re-naming of the Mediation Center, which will now be known as Neighbors In Action. I must confess to a bit of sadness at saying farewell to the Mediation Center. The Mediation Center was launched the week my first daughter was born, so it has always had a special place in my heart. 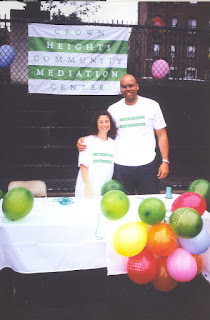 Over the years, we worked hard to establish the Mediation Center and to develop its identity. It has become well-known and well-liked not just in central Brooklyn but across the City. Nonetheless, the name change is probably overdue -- the project long ago moved away from a primary focus on either mediation or Crown Heights. I went to a seminar on managing organizational growth recently and one of the speakers said that organizations are either busy growing or busy dying. I don't quite believe this is true -- I think sometimes less is more. But I do believe that organizations can't stay the same. They need to evolve and adapt. And that's what makes me most proud of our history in Crown Heights. Thanks to great on-site leadership, we have consistently dreamed up and implemented new programmatic wrinkles. 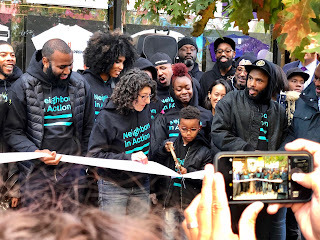 When you take a step back, it is clear that, no matter what the name on the t-shirt says, we have become a valuable neighborhood institution -- nurturing amazing local talent, addressing pressing local problems, and knitting together diverse local groups. The two photos above and below tell a bit of the story of our work in Crown Heights. Our location has changed. Our branding has gotten better. Our team has gotten exponentially bigger. But it still comes down to our ability to generate good ideas and attract outstanding people. Congratulations to all who have played a role in making both the Crown Heights Community Mediation Center and Neighbors in Action happen.